The federal and N.W.T. governments announced they will spend $5.1 million on two projects to help with development and mineral exploration in the territory. Money will go toward all-season access road and aerial surveys in the N.W.T. 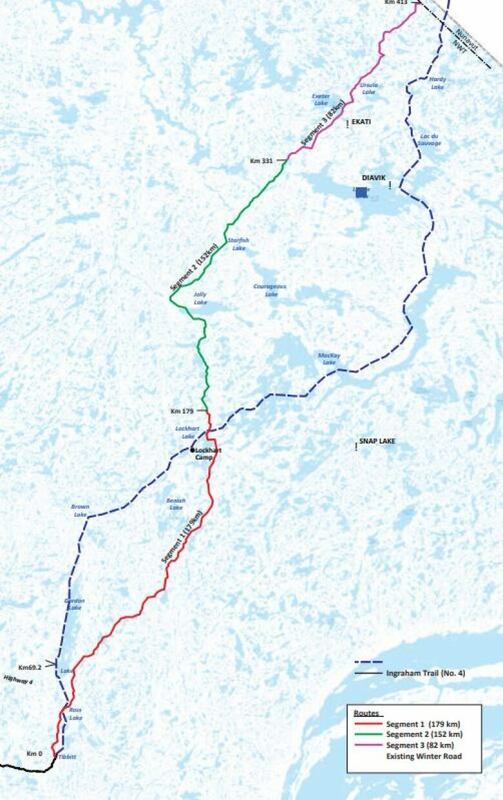 The Canadian Northern Economic Development Agency (CanNor) is putting about $2.7 million toward the development of the Slave Geological Province Access Corridor project, while the territorial government is investing $678,000, according to a government news release. Those investments are among the $5.1 million in government money that was announced on Monday for two projects related to resource development in the Northwest Territories. The Slave Geological Province is an area in eastern N.W.T. where the territory's three operating diamond mines are located. "This is an important day for us," Wally Schumann, the territorial minister of Industry, Tourism and Investment, told CBC after the announcement. CanNor is also investing about $2.4 million on mapping and aerial surveys of the area, with the N.W.T. government investing $280,000 and industry partners investing $749,000. Schumann said the full mineral potential of this "very mineral-rich area of North America" is unknown, but the money for geological surveying will help figure that out. "We need to figure out what else is in that area, be it rare earths or more cobalt," he said. "And to be able to access those types of projects, you need to have a road to be able to get [the minerals] out." Schumann said the government hopes construction on the road can begin in five years. Shumann and Paul Lefebvre, parliamentary secretary to the minister of natural resources, made the announcement at the Prospectors & Developers Association of Canada convention in Toronto. 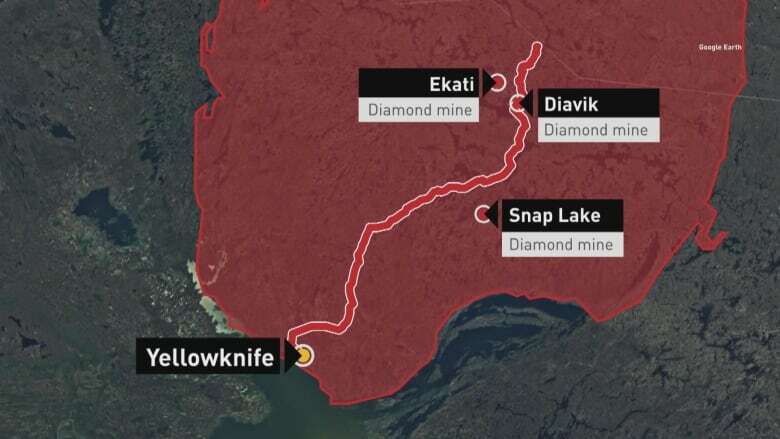 Last April, the territorial government said in a news release that the federal government didn't approve the first round of funding submissions for the Slave Geological Province project. The proposed all-season access corridor through the region is a two-lane gravel road that's about 413 kilometres long, according to the government's website. According to the government, the Slave Geological Province "has significant untapped mineral potential," including large base metal deposits. Improved access to mines would reduce operating costs, boost mineral exploration and development and even help develop the Taltson Hydro expansion project, it said. Tom Hoefer is the executive director of the NWT and Nunavut Chamber of Mines. Though the money announced monday is a fraction of the $1 billion Hoefer estimated the road could cost, he's optimistic the project will come to fruition. "If we're going to pursue this territory as one that's more self-sufficient... then we're going to need to have more resource development," he said. "But we need to get infrastructure."